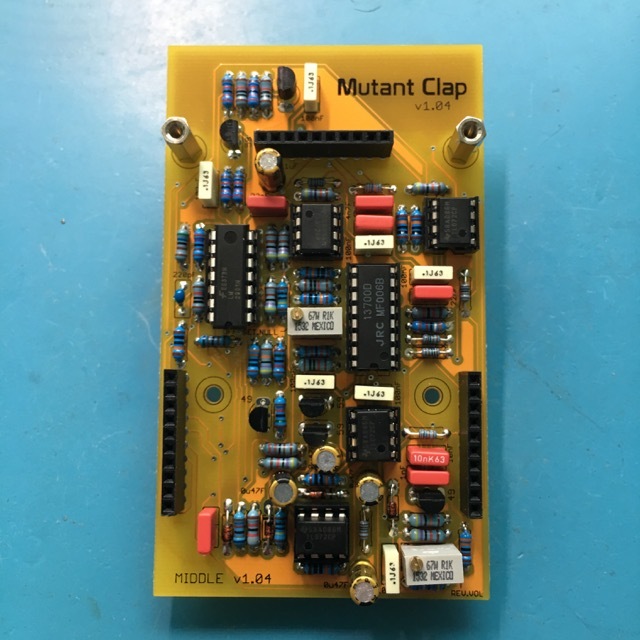 Looking for some advice on where to look for a problem with my just-completed Mutant Clap build. PROBLEM: Turning Reverb ON (to I or E) routes noise to the module's OUT. Otherwise, unit works as expected (and is awesome). Above video shows clap with reverb off and set to the two modes; it also shows an external audio input with reverb in the two modes. Attempting to calibrate, my voltmeter measures just under 12 Volts at the test point (!). Trims do nothing to affect this or the sound. The only thing that changes the volts a bit is turning the pot for REV DEC (11.07 - 11.4). I've put electrical tape on the tall caps to keep them from touching the board above them. 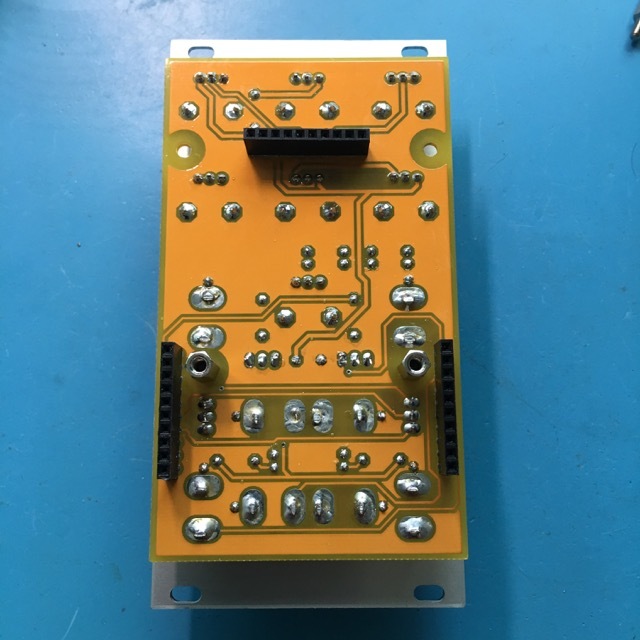 My prime assumption is that I'm bridging the noise out to the reverb circuitry somewhere - though I don't see any obvious bridges. Any other ideas as to the potential culprit? Any place for me to look extra closely and probe? 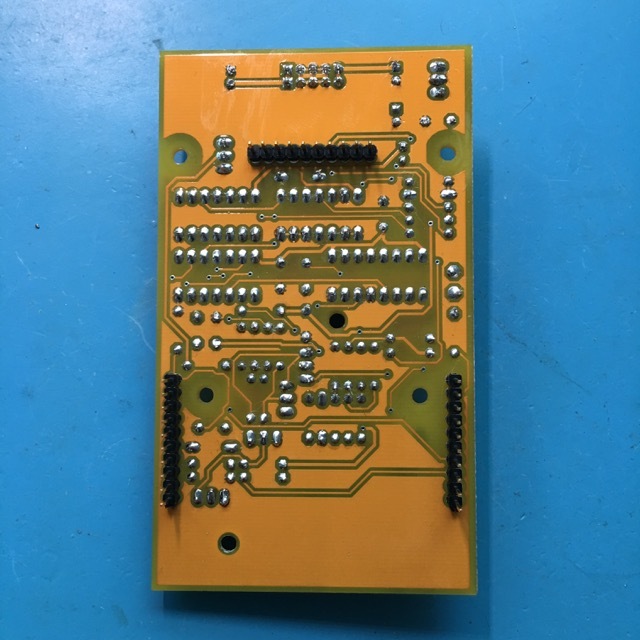 Looks like the "Null Offset" trimmer is connected to the differential input pins of the LM13700 (IC4). Maybe something is wrong with that IC? Having the same problem here! Did you figure it out yet? Going to dig up the schematic tonite as have a look I suppose. - are any tops of elco's touching the board on top if it? 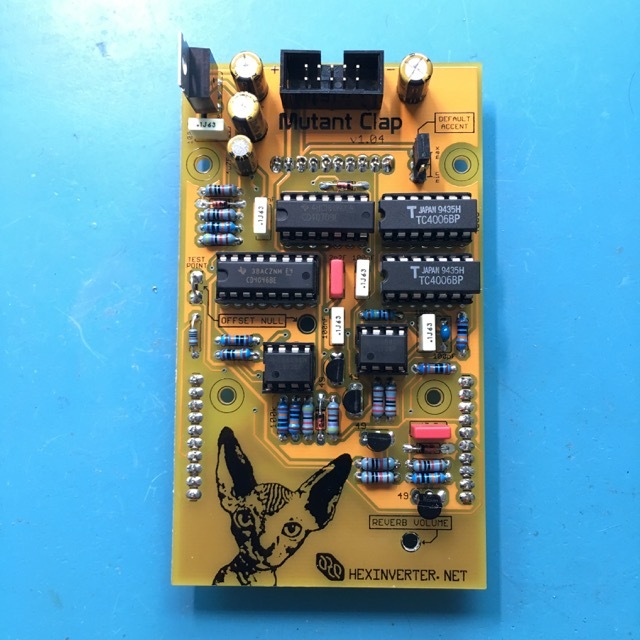 @TimoRozendal - I've had put electrical tape on the tops of the super-tall caps; the noise sounds more like the module's noise source is being unleashed in the reverb portion without any attenuation. @frankaponte - I've done some additional visual inspections of my build and don't see anything; perhaps one of my chips is bad? 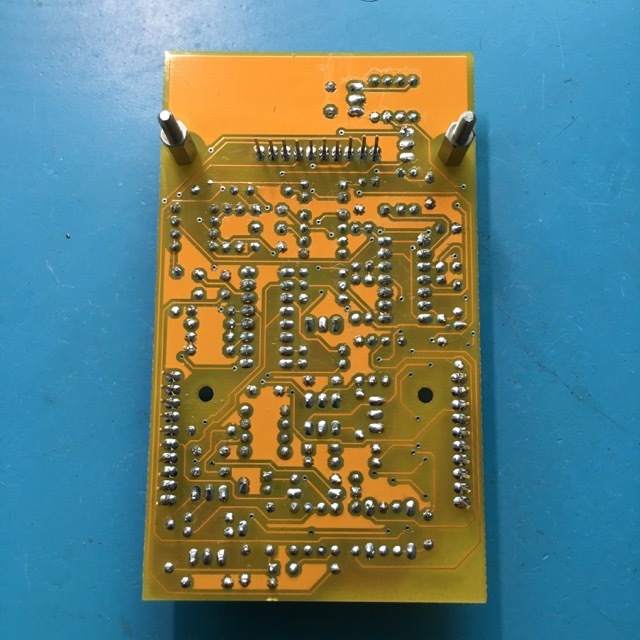 I plan to reflow the board, closely inspect the path around that trimmer and potentially even replace the LM13700 (IC4). I'll post any progress. Thanks for all the assistance!! Let me know; my build is still sitting in my DIY ER box. Same issue. Have tried calibrating and no cigar. Otherwise works great, especially with something random through the external in.